Narcissist, Machiavellian and a let-down - these are the words former minister in the Vajpayee government Arun Shourie has chosen to describe Prime Minister Narendra Modi. This comes just days before Modi completes 2 years in office. In an exclusive interview to senior journalist Karan Thapar on India Today TV channel, Shourie slammed left, right and centre Modi's personal attributes as well as his governance record. Shourie, a former BJP leader who has gradually drifted away from the party, had given a similar interview to Thapar on the eve of Modi-government's first anniversary last year. In this interview, Shourie spoke on a range of issues, including corruption, economy, foreign policy and governance. Here is a look at what Shourie said, in 10 key points. 1. 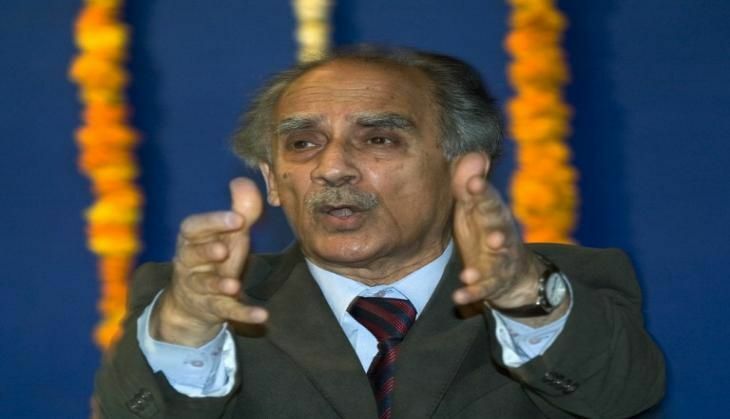 Divide and rule - Shourie said the hallmarks of the government were confrontation, centralisation and polarisation. 2. Governance seems to be just incidental. No reforms have happened. Modi runs a one-man government. There is lack of consultation. 3. On corruption - there is not a single allegation of corruption against any minister in the Modi government, but have corruption issues like Vyapam scam, Chhattisgarh's PDS scam, West Bengal's Saradha chit-fund scam, the Commonwealth Games scam, and the Lalit Modi episode been pursued? Action is taken or not taken as per convenience. 4. On AgustaWestland - Parrikar's speech meant digging up a mountain only to find an invisible mouse. There was no new fact, no substance. Modi's praise of it was strange. Secondly, why didn't Modi government appeal against acquittal by the Italian court of the company's two former chiefs. Third, the Italian judge himself had said that the Indian government was unhelpful in the matter, referring to the Modi government. 5. On President's Rule - Every norm associated with Article 356 has been 'prostituted'. Taking any defector into the party has also indicated that you don't have any core beliefs. 6. On foreign policy - Vis-a-vis US, not sure what has been achieved. Bilateral relations are not dependent upon personal relations. Obama hasn't raised a finger on India's exclusion from Afghanistan peace-talks or Pakistan not taking any action against Jaish-e-Mohammed. On Pakistan, we have made fools of ourselves. Flip-flops on letting Pakistanis interact with Kashmiri separatists. Inviting Pakistani investigators to inspect Pathankot air-base was a lunatic act. On China, there is lack of seriousness and focus. Modi thinks he can charm China, but today China controls over 20% of old Jammu and Kashmir state and may well say someday that Kashmir is not a bilateral issue, but a tri-lateral one. 7. On the economy - One must examine government's claims as only small shoots indicating a revival are visible. Not sure whether they are because of a cycle or some effort. Land acquisition issue was mishandled, with the PM being probably misguided. Only headlines have been managed. No progress on key challenge of reviving investment. Tax reforms and banking reforms have not happened. Modi was apprised of the banking crisis when he was CM, but he either did not find it worthy of attention or relegated the task to somebody who did not do much about it. 8. On PM's leadership - He has been a let-down. A great opportunity has been missed. Has exhibited narcissism and Machiavellian-ism. Such people have 'manifestly inferior' persons around him and never have long-term relationships. He looks at everything from use and throw perspective. Even tragedies like the Uttarakhand floods, the Kashmir floods, the Kerala temple fire. He is also remorseless. The global NRI rallies were attempts at reassuring himself that he was important and was loved. Sycophants around him think he will love statements like he is God's gift and even an avatar. 9. Closer to the Uttar Pradesh elections, Ram Mandir issued could be raised for polarisation. There will be a more systematic attempt to curb civil liberties. 10. I fear the direction the government is taking under his supervision is not good for India. There is decentralised intimidation. Shourie also tried to answer his critics saying anybody who thought he was saying this out of frustration for having fallen out of favour with the dispensation, thinks very low of him. In any case, he would not have gotten along with 'this lot' anyway, he concluded.